Express Entry, Provincial Nominations (PNPs), investment, entrepreneur and family sponsorship based applications. PNP based work permits, LMIA based work permits, open bridging work permits, work permit extensions and study permits. Jenny has worked in the immigration industry since 2009 and is an active member of the Immigration Consultants of Canada Regulatory Council (ICCRC) and the Canadian Association of Professional Immigration Consultants (CAPIC). Jenny is a first-generation Canadian Citizen, who moved to Canada in 2002 from Peru. Jenny has first-hand experience in the challenges of moving to a new country and starting from scratch. Jenny has now assisted thousands of applicants with their immigration applications. 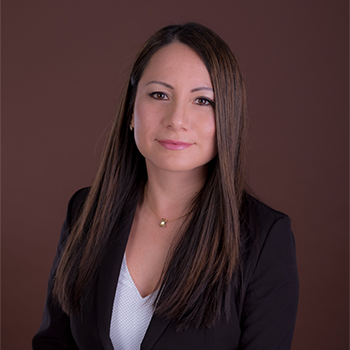 Jenny is also an Immigrant Investor Immigration specialist, well recognized in the industry for having successfully assisted hundreds of wealthy families with unparalleled customer service standards. Jenny is based in Vancouver and Whistler, Canada and travels internationally to meet with prospective applicants who are interested in Business Immigration. Immigration: Laws, Policies and Procedures – University of British Columbia, Canada. MBA-Richard Ivey School of Business, Canada.